Clean, modern style and a versatile, supportive form make the Treble II™ a popular choice for everything from spin classes to centuries. The upper is made of supple synthetic and adjusts quickly and precisely with three wide straps, while an Aegis® anti-microbial EVA footbed keeps you comfortable on longer rides. The stiff, injected nylon outsole is outfitted with the Universal Cleat Mount system that accommodates both three-bolt and two-bolt cleat/pedal systems. The upper is made of high-quality, breathable synthetic fiber that wraps the foot and features a classic and practically 3-strap closure. 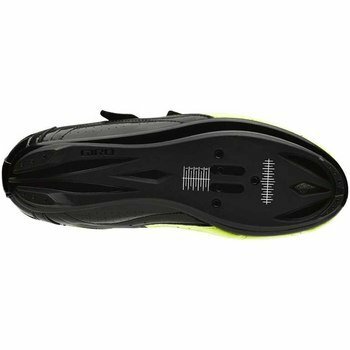 The injected nylon outsole is made of nylon and fiberglass and features both, 2 and 3-bolt cleat mount, making the shoe compatible with road and MTB pedal systems. The molded EVA footbed has a medium arch support to prevent fatigue and the Aegis® anti-microbial treatment to keep the shoes odor-free. 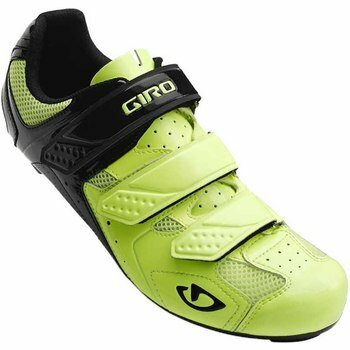 Technologies: Giro footwear is built on proprietary cycling-specific lasts to create a fit that hugs the foot closely without binding, crowding or discomfort. The Precision Fit™ lasts are hand-crafted specifically for cycling footwear in whole and half-sizes that are differentiated between men's and women's shoes, in order to provide the most supportive and precise fit possible in a production shoe. The Aegis® Microbe Shield is an anti-microbial barrier that permanently bonded with the fabric. It uses the power of a tiny positive electrical charge to inhibit the presence of odor-causing microbes that can cause discoloring or fading, so your shoes stay fresh and odor-free.